We offer help with statistical as well as geographical or spatial data research, analysis and interpretation. We guarantee you quality help with all your data management, analysis and processing needs for your research work, thesis or dissertation. . How can we help you? Affordable & Reliable Data Analysis Help from Experts? If you are a student working on a paper that requires data analysis such as a statistical research project or a dissertation on the location of features and boundaries around the earth, the major challenge you are likely to face is getting a better understanding of the data and materials that you’ve gathered. This is exactly a good reason to seek professional help with data analysis. You can never carry out a successful project whether it’s a statistical or geographical data study, without first knowing the best data set or sample, the analysis method, the software to use and any tests or simulations to do. We have Statistical and Geospatial data analysts who are capable to help with your GIS or statistical analysis. Due to minimal time, insufficient resources and at times lack of professional skills, anyone who is working on a statistical analysis chapter, geographical data processing assignment, may require some expert analysis help or statistician input or support on how to work with varies data management software. This is where comprehensive is required, and many service providers are expensive and you may find it even challenging to afford that. For that very reason, we dedicated ourselves to offer affordable services and support. It is at such a time when Data Analysis Help comes in to assist since at our firm we fully understand the financial circumstances of many scholars. We are also sure that you may be a great researcher but poor analyst and that’s why we combine our efforts to ensure that the services we provide you with shall be very relevant. Analysis of the data associated with a certain geographical area using the GIS software cannot be easy for most people. 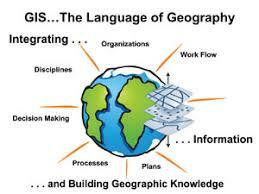 Luckily, we have the experts who can help you analyze the geospatial data thereby producing very accurate results. Assistance in the statistical analysis of geospatial data will be provided by qualified statisticians. Our experts have the relevant academic qualifications as well as the experience to handle tasks that involve complex software programs. That guarantees high accuracy in the results they will deliver. Professional help in statistical analysis of the geospatial data will be offered at a fair price. We are a firm that really values our current and potential clients in terms of the pricing of our geospatial statistics data analysis services. You will be impressed by the results when you compare them with the pricing. Experts' assistance in the statistical analysis of geospatial data will be provided without delays. 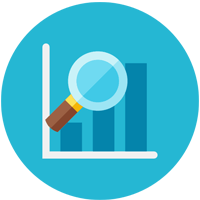 Data Analysis Help statisticians have the ability to deliver services at the required time even if the feedback is required by the client urgently. Many students working on their dissertations and choose to use quantitative data analysis happen to use this hypothesis test in the analysis of their data and results. We have a team of experts familiar with the T-test and other statistical tests. This among the most commonly used analytical tests by statisticians. Our services involve offering students help with their dissertations and research projects data analysis and interpretation. Best for predictive modeling and related outputs. When the sample size of your research project is large and you aim to know how different the population means are, a Z-test is the best hypothetical test to use. We are able to help statistics, masters and Ph.D. students with their dissertation data analysis. Also preferred but not limited to large samples but for unpaired data. Almost every dissertation or thesis using bivariate analysis technique in the process of data interpretation. We have many experts to assist with the Chi-squared test. This bivariate analysis technique measures how two metric variables relate linearly in a population. Since its applicable in many types of data sets, many scholars use it in their research projects and theses for quantitative data analysis. Most data analysis and research questions major on regression, ANOVA, correlation, t-tests, and other parametric tests. However, we are familiar and able to help with non-parametric tests like the Wilcoxon test, Mann-Whitney U tests and Spearman rank tests to interpret results. 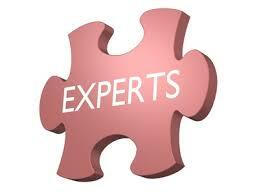 Looking for GIS & Spatial Data Project Help Experts? When we say that we are familiar with data analysis, research, management, and processing we mean to say that the experts we have hired know the procedures followed in explaining, illustrating, interpreting and assessing the data at hand. For GIS or spatial data computation, mapping, simulations or analysis we have many years of experience that you can rely on. Our GIS data analysis help experts are familiar with software that is necessary for geospatial data processing and interpretation. The fact that we offer very high-quality services doesn’t imply that our charges are extreme since we fully understand that we work with people who have different financial backgrounds. This is one of the things that set us apart from other service providers, who might be in the help provision industry only for financial gains. We are sure that your dissertation or the project you are working on has a deadline to submit, and for that reason, we shall not delay you. 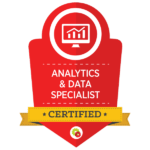 We follow every instruction given to the letter, our experts’ main objective is to maximally meet the demands of every client that chooses Data Analysis Help. Data collection techniques can often leave you with a large volume of data which you may be unable to interpret. You need to manipulate the data so that it can be easier to get its meaning. The process often involves the use of statistical approaches and software programs which you not very many people are familiar with. When you find yourself in a situation like that, you can consult online professional data analysts for help. Data collected can be quantitative or qualitative depending on your approach. Experts have the skills to analyze the numerical data as well as the data that is in the form of texts. They will provide the best data analysis assistance even if the tasks seem to be very complex. The level of analysis of the data collected normally depends on the research questions. Professionals are aware of that and they will help you choose an approach that will guarantee the results that match those questions.